Bretford makes several variants of booktrucks and 'mobile utility trucks', as they're affectionately denoted, and they come in all sorts of sizes and colors to suit your demands. Bretford's aim is to deliver you a device which is well constructed, versatile enough to suit your needs and of course economically sensible. 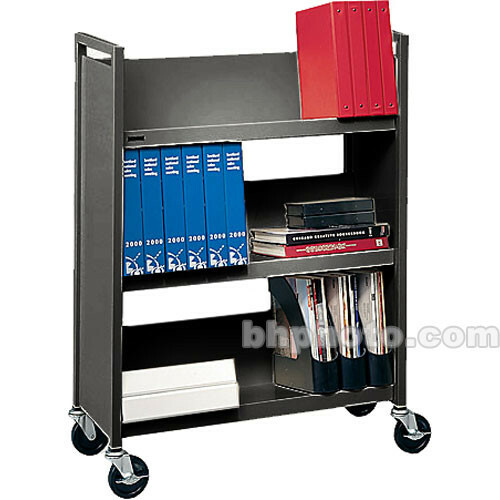 The L327 is designed to be used against a wall, and comes with three shelves which are slightly slanted lower to the wall side of the equation. Box Dimensions (LxWxH) 40.5 x 28.0 x 13.75"